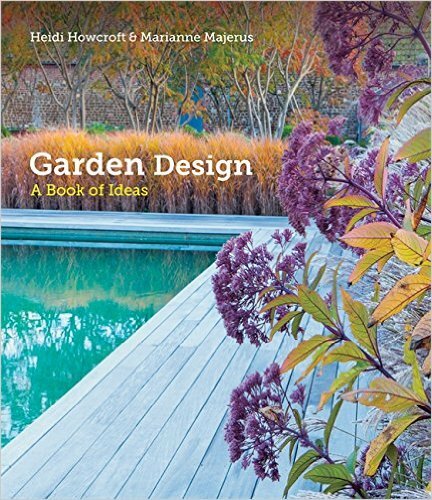 Making a start; Design can be one of the most enjoyable bits of gardening - relaxing, not dependent on the weather and time spent dreaming of wonders to come. Time spent in preparation can be worth ten times the investment later on when you decide that a particular tree, border etc. is not appropriate or is in the wrong place. Step 1 - Draw up a plan of your garden to scale on a large piece of paper. Step 2 - Mark on this plan the things you can't change. Position of your house, windows, doors, garage, fences and other boundaries, neighbours trees/hedges, neighbours windows that overlook your garden. Don't underestimate the influence on your garden of things just outside it. Step 3 - Make a (realistic) wish list of the things that you would like (and the things that you need) in your garden. Step 4 - Take your basic plan and your wish-list outside and start thinking about where things are going to be. Write them in pencil on a separate piece of paper. Then leave it all alone for at least a few days before you repeat this step until you're happy with the result. As time goes on you may decide to have a rose bed or house your National collection of Euphorbias in a particular place rather than the original idea of a herbaceous border. You may go for a patio instead of decking, but at least you will have a good idea of the kinds of things in each area. Think in terms of the use of the surface, of how you will move around the garden and of vertical height. Mark out borders, hard surfaces, lawns etc. use pegs and string, a hose pipe or even flour (washes away in time). Above all make sure the size of the features are realistic and useful. What may look a delightful shape for a deck on paper, may in reality not have any area that is actually large enough to be practical. It is better to have a worthwhile sized if mundane rectangular patio than a lovely sinuous shape where however you arrange things, there's always one table leg on the lawn. A frequently used term. 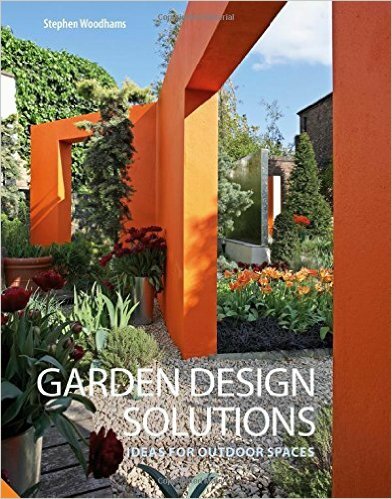 If your garden is your outdoor room, then architectural plants are the furniture. They are the long-lived permanent residents that give the garden much of its shape and character. The shorter lived annuals, bulbs and herbaceous perennials are the ornaments and pictures. When deciding on your planting, begin with architectural plants. Cost. This will dictate to a large extent what you can and can't do, but often as not is a question of time. Do you complete the whole garden that you want at once or do it in stages? I would suggest that you stick to a longer-term more expensive plan rather than a quick cheapie. If you try to cut corners initially, you will probably end up fiddling around with what you've got and re-do it over the longer period spending the same amount of money (if not more). If possible make an entrance to the garden or part of the garden - a leafy tunnel with an arbour and climbers over maybe. Shield entrances to the garden from direct line of sight. Coming around a corner or through a tunnel to a "surprise" garden is always dramatic and impressive. Think about how your garden looks from the overlooking windows. Throughout the year, you will probably look at the garden through windows more than you will actually be in it. Attention to this is one of the easiest and more successful things that you can do to get a rewarding garden. If the garden looks good through the windows, then it will probably tempt you out into it more. Place bird feeders / tables where they can easily be seen from frequently used windows. You'll also get more value from water features if they're placed where they can be easily seen from a window. Privacy in the garden is one of the most important elements. Most people take steps to prevent passers by from seeing straight into their living rooms and you'll feel much more comfortable in the garden if there's no sense of being watched. The old adage "good fences make good neighbours" definitely applies here. Link the garden to its surroundings if possible. If you are lucky enough to have a view of countryside or woodland. Place sympathetic plants leading to the view to give the impression that it is a continuation of your garden. If the view is reasonable, but not wonderful, then a filigree screen of deciduous planting gives a similar impression. Planting is too often piecemeal, plants are introduced at random by different people at different times. Plant lovers need to be very disciplined here to not be side-tracked by plants that wink at you in the garden centre. Plan the garden so that you don't see the whole from the house. There should be some parts out of immediate view if possible, with something such as a winding path or stepping stones drawing the eye further and encouraging you to go further. Features such as statues and pots, sculptures etc. can be successfully be placed out of immediate sight giving a sense of discovery when happened upon. Make borders as wide as you can. 2ft minimum for small plants, 6ft is better if you have the space. Rather than have a border all around the garden which will probably be narrow by necessity, restrict the range of it but increase the depth. Avoid straight edges, sweeping curves look more natural and interesting. 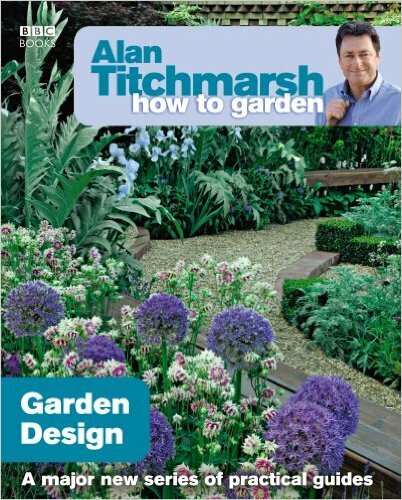 When planting beds and borders, plant according to the ultimate height of the plants, tallest at the back of course. Try to introduce year-round interest. Time spent planning what plants to grow is important. Decide what you want before you buy your plants. It's always very tempting to buy the plants that look good at the time of purchase. The danger of this is that you get a garden that looks fabulous each year at the time you went plant shopping but is probably fairly bland the rest of the time. Don't plant too many evergreens, and try to make sure that some of the ones you do plant flower and / or have berries. Non-flowering evergreens might seem an ideal answer to providing year-round interest but you could end up having a garden that hardly changes with the seasons. Some plants are spectacular for short periods and ordinary the rest of the time. Think about what you plant near them so that they really shine when it's their turn, but have other plants around them that take turns to do their thing at a different time of the year. Don't feel that you have to accept what is presented or for sale. There is great satisfaction to be had from making your own features from raw materials. What should be in a garden? We're told these days that all sorts of things belong there and weird and wonderful materials too. Stainless steel, rusty iron, crushed glass in various colours, steel coated in red primer, concrete looking like concrete and even tarmac in various colours. What will still look good in 20 years time? Alternate patio slabs in rose and yellow shades, a deck of railway sleepers with a frame-work of red painted steel girders or "boring" old fashioned York stone paving? I know where I'd put my money. The Fibonacci series of numbers is a natural series discovered by the mathematician whose name is attached to them. You start with 0 and 1, then add them together to get the next number and keep adding the last two to get the next one, 0 + 1 = 1, 1 + 1 = 2, 1 + 2 = 3, 2 + 3 = 5. So the series goes 0, 1, 2, 3, 5, 8, 13, 21, etc. It turns out that all kinds of things in nature are arranged according to this series, the number of whorls of leaves around stems, the number of whorls of seeds in a sunflower head and all kinds of unlikely things that jump from one of these numbers to the next missing all of the ones in between. If you're having problems achieving a natural look in your garden, try arranging your plantings according to these numbers, it's what mother nature does. Alternatively if you are more classically inclined, there is the idea of the "Golden Section" from the Greeks. The ratio of 5 to 8 was thought to be the most pleasing to the eye and was used in all kinds of ways. So when designing your patio, new flower bed, where to bisect your garden when straight down the middle doesn't look so good, then do what Aristotle and Archimedes did, apply the Golden Section and proportion them in the ratio 5:8. 5 and 8 even turn out to be Fibonacci numbers too - spooky. Do without a lawn Grass is the most economical ground cover so this will not be a cheap option. Alternatively, reduce the grass area as much as you can and consider other surfaces. Keep the shape of the lawn as simple as possible with sweeping curves and minimal planting of trees / flower beds in the lawn to speed mowing. Lay a "mowing strip" all around the lawn against beds / buildings etc. This is a strip of bricks or narrow paving at the same level as the grass so that when you mow, the mower gives a good edge without having to strim. Again, not a cheap option as the edge needs to be firmly footed to stop grass and weeds growing between the bricks, once it's down though there should be no more maintenace. Plant beds with ground-cover shrubs to avoid weeding. Plant fairly slow-growing plants so you don't need to cut back so often. These can be interplanted with short-lived faster growing biennials and perennials if looks a bit bare to start with (though this is getting away from the low maintenance ideal). Avoid bedding plants and perennials that die back in the winter. Avoid containers. These will always be more effort than planting into the ground. Because containers need to be densely planted to look good they need an awful lot of watering. Missing a few days in mid-summer can decimate the contents. If you plant roses, then use shrub or species types, these are more resistant to disease than others, don't require constant dead-heading and are lower maintenance all round. Avoid "hybrid tea" roses. Before you plant anything, clear perennial weeds, Dig them out or apply a weed killer. Things will be easier in the long run. Soil preparation, loads of organic matter to start with, plants will get away and establish quicker meaning less looking after sooner. Increase the number of drought-resistant plants in your garden e.g. 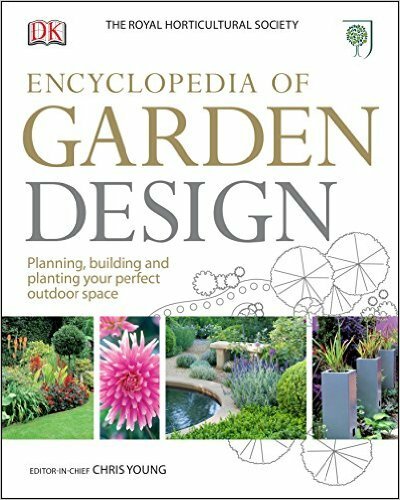 Trees: Arbutus unedo (strawberry tree), hollies, Cordyline australis, pines, Robinia pseudoacacia; Shrubs; Artemesia, Cytisus (broom), Escallonia, Euphorbia characias, Hebes, Perovskia, Rosemary; perennials; Achillea, Echinacea purpureum, Eryngium, Gazania, Nepeta, Lavender. Use the largest ones that you can afford, they dry out more slowly, glazed clay or other non-porous materials will retain water better too, terra-cotta will dry out from the pot as well as the plant. Place them away from windy areas if you can, wind dries plants out much more quickly than sunshine. Avoid conifers, these are particularly susceptible to drying out. If they do dry out, they don't give any warning by wilting, they just look exactly the same but slowly turn brown. By the time they show they're in trouble, it's too late, there's no going back. Consider installing an automatic watering system. If you must have a pond, site it away from deciduous trees. If you want a lawn get a mower that collects the cuttings. Or you could buy a 'Robomower', a programmable automatic mower - you can just sit back and watch it. Have around 65% - 70% evergreen shrubs, trees, perennials. There are plenty of evergreen flowering plants.